The Hosa Pro Conex Little Bro Sub Snake is a compact, pro-quality snake. Perfect for the stage or studio, this snake provides 8 XLR channels with no returns. 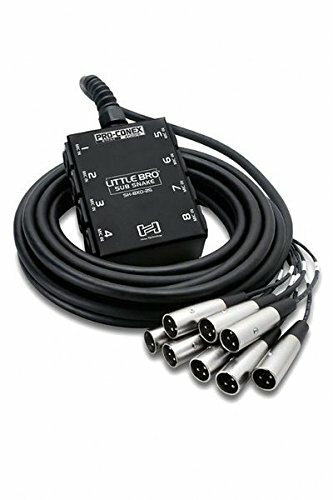 One simple connection to hook up 8 XLR balance lines to your mixer or recorder.